It’s the middle of the summer holidays and the kids are bored – what to do? We’ve been to the beach almost every day, to the new play area Cubby House in Seminyak, to Ubud on day trips and to the Bali Galleria’s Time Zone, eaten lots of ice cream and tried several fast food places. Here they are. I first tried this fast food restaurant at the food court of the Carrefour on Sunset road. After a morning spent grocery shopping, my son and I spotted the juice sign and decided to have a fresh mango juice which was wonderful. We were all set to get some takeaway pizza from the PepeNero stand when we noticed that all of the tables in front of MM Juice were full so we sat down and shared a Nasi Goreng special – fried rice with sausage and chicken and topped with a fried egg and served with some achar and melinjo crackers. It was a surprising find – the food was freshly cooked and delicious and the service quick. They have another branch at the Bali Galleria which is more like a restaurant with brightly-colored wooden tables in an air-conditioned space. We had lunch there a few days ago and this time, I ordered the stir-fried beef kway teow (flat rice noodles) which was a large portion of flavorful fried noodles with chunks of beef and egg – a satisfying lunch for such a reasonable price. Fast and cheap food. Another little spot I’ve been meaning to try is the stand just at the end of Jalan Danau Poso which we pass often on our way home. 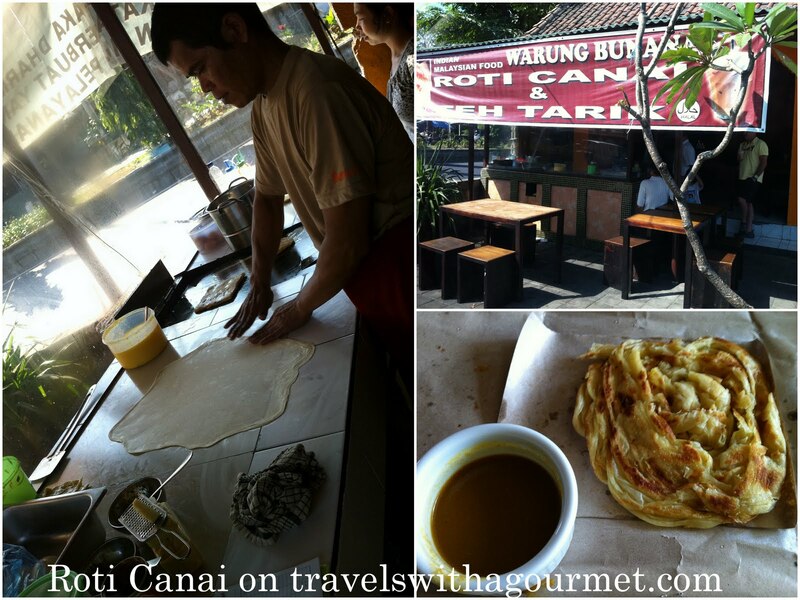 There is a large sign advertising Roti Canai (flat bread) & Teh Tarik (milky tea). 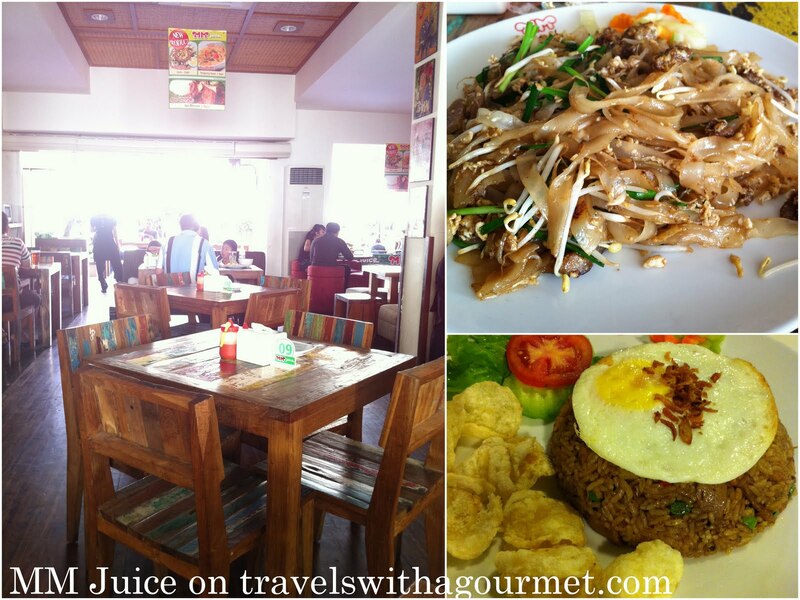 They also have a few other branches around – one of which is in Seminyak. I finally stopped by the other day and ordered one portion of plain roti which was rolled out, slapped around and cooked to order right in front of me. I took it home and opened the brown paper package of hot flaky bread which came with the standard curry dip. Perfect as an afternoon snack and again, another cheap and cheerful place.